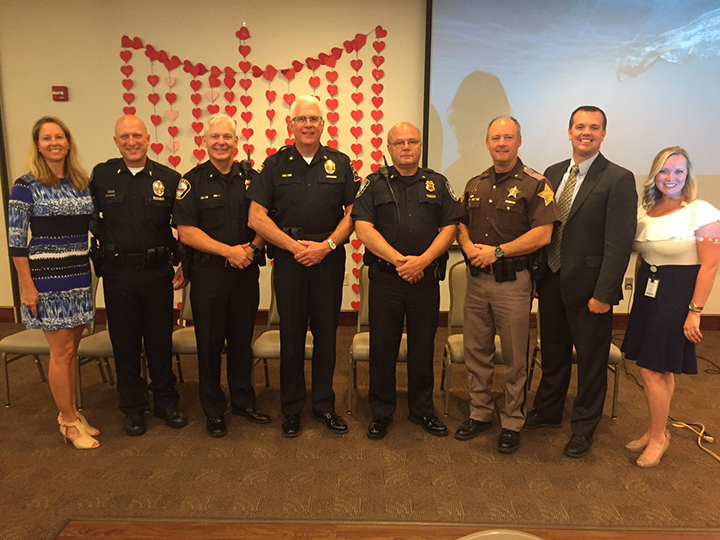 The third Annual Cherish Breakfast was held Aug. 10. Cherish is a non-profit child advocacy center that provides abuse intervention and prevention services to families in Hamilton County. Guests were treated to breakfast, an update on the last year and a panel discussion. After breakfast, guests heard from Tom Dickey, board of directors president for Cherish. “We live in a great community with great elected leaders and great business leaders, but we’re not immune from the disease of child abuse in our community. Our focus is once an allegation of abuse has been identified, we step in and interview the children,” he said. The panel included members of various law enforcement agencies, Department of Children’s Services and the Hamilton County Prosecutor’s office. First, they discussed how all their organizations work together when a child abuse allegation is made. “For our office to get a conviction, I need a solid defensible investigation of a crime perpetrated against a supported victim. That’s what increases our chances. I need a victim who is supported and feels good,” said Andre Misksha, Chief Deputy Prosecuting Attorney. They also discussed how they roles can sometimes overlap. “Sometimes these incidents cross boundaries so we have to work together collectively as law enforcement agencies. We have to stay in touch with each other from an investigation standpoint,” Hamilton County Sheriff Mark Bowen said. The focus remains the same throughout all of the crossover. “It’s all about the victim first. While we are all from different aspects of what we’re trying to accomplish in this process, the child always comes first,” said Fishers Police Chief Mitch Thompson.